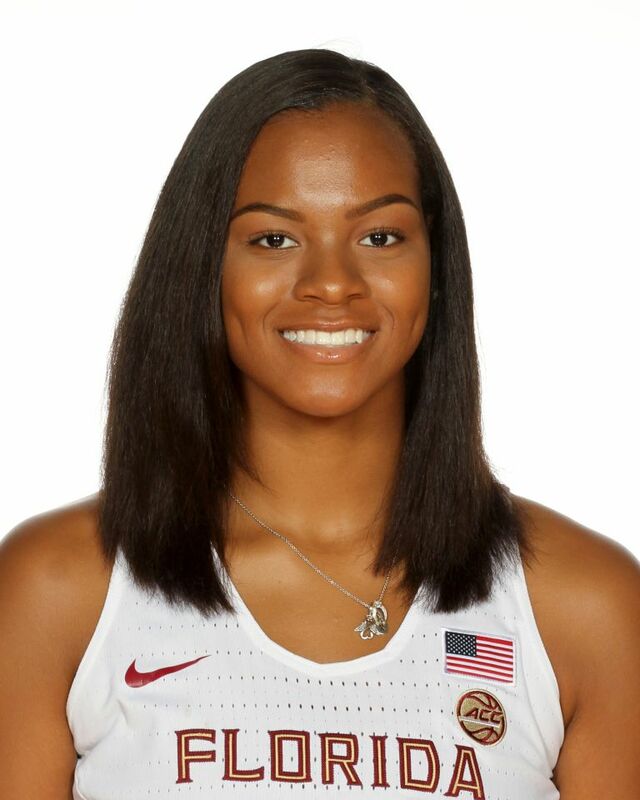 2018 McDonald’s All-American and Jordan Brand Classic Game participant, joining FSU teammate Izabela Nicoletti in both games. Myers was one of 24 senior girls selected to the McDonald’s All-American Game among 700 nominees. Known as an excellent finisher inside who navigates traffic very well. Committed to Florida State on Oct. 23, 2017, rounding out the Seminoles’ top-notch freshman class. Honored as the Cleveland.com Girls Basketball Player of the Year in 2017-18, leading Solon High School to their second OHSAA Division I state final. Averaged 14.6 points, 7.6 rebounds and 2.1 assists as a senior for the Comets, guiding her squad to an undefeated record in the Greater Cleveland Conference. Named the Northeast Lakes All-District Division I Player of the Year in 2018, and also earned first team All-Ohio honors. Became the 10th player at Solon High to score 1,000 career points, achieving the feat against Medina High on Jan. 10, 2018. Won a bronze medal as a member of the USA U16 National Team in 2015. AP Honorable-Mention Division I All-Ohio in 2017. Parents: Chris and Dana Myers. How did you first get into playing basketball? My mom signed me up to play in 4th grade and I really liked it. Explain a hardship you have overcome: Mental toughness. What shows are you watching these days? The 100, Queen of the South, Jane the Virgin. What is something many people don’t know about you? I can cook. What would be the name of your autobiography? Inside Life of Vee. What is your favorite home cooked meal? Pork chops, mashed potatoes and greens. Number of brothers and sisters? I’m an only child. Outside of hoops, what are some of your passions in life? Own something. If I was a genie and granted you three wishes, what would they be? Money, see my great grandparents again, and travel the world for free. What are some things on your bucket list? Skydiving and visiting Bora Bora. If you were to win the $500 million lottery, what are some things you would do? Travel the world. What is the most inspirational story you’ve heard about? Oprah’s life story and her background. What’s the best piece of advice you’ve received? Trust the process.